Cryptocurrency and Venezuela – Can The Country Re-float The Petro? Can the Petro be saved? For now, experts question whether it is possible to restore confidence in the oil-backed Venezuelan cryptocurrency. What’s sinking the nascent cryptocurrency is the fact that there’s no practical use for it. It can’t be transferred into other coins, converted to fiat currency, or used to buy anything. Those who purchased it are left with a fancy digital souvenir. “It’s not transferable,” reads the cell phone of one user, Armando, when he tried to trade Petros. Six months after the public sale began, the Venezuelan cryptocurrency is still in limbo, but the government promises that now it will start working. The Petro, with which President Nicolás Maduro seeks to avoid financial sanctions from the United States, can not yet be exchanged for money, goods, or other cryptocurrencies, such as bitcoin. It also does not trade in virtual exchange houses, although the government rates its value at 60 dollars per Petro. Armando – a name changed to protect his identity – acquired little more than half a Petro, but he does not know how he can use it. A test shows the cryptocurrency wallet, downloaded to your phone. “Selected mosaic is not transferable,” indicates a message. It will be offered in auctions through which private companies access foreign currency, within the framework of an exchange control in effect since 2003. Thus, the President assures, “He will immerse himself in the global market.” But “It’s too late to rescue the oil, there is no confidence, and there will not be any,” as long as the government prevents it from fluctuating freely, says Rendón. Venezuela is in urgent need of liquidity in the face of the collapse of crude production, which has fallen in a decade from 3.2 million to 1.4 million barrels a day, and an external debt of $150,000 million USD. The sanctions of Washington tightened the rope, closing the access to external financing. Of the issue of 100 million Petros announced by Maduro, there are only a handful of negotiations. The transactions with cryptoactives are public by the blockchain technology, an encrypted database that validates and registers each operation. Maduro even announced “offers of purchase intention” for 5,000 million USD, but the blockchain of the Petro on the NEM platform records transactions for the equivalent of about $136,000 USD from March 25 to May 6. The launching contemplated a private pre-sale of 38.4 million petros in February and a public one of 44 million in March. The State reserved 17.6 million. One of the main department stores in the country posted posters in March with the text “Accept Petro”, but in a few hours withdrew them. Buying Petros “is a high risk (…), from the beginning I have it in my column of losses,” admitted Armando, who invested a “small amount” to measure his evolution, since he lives on cryptocurrencies. The government supports the Petro with a crude field not yet exploited in the Orinoco Belt, the largest reserve in the world. But “you do not know how to exercise rights” on these reserves, said oil specialist Luis Oliveros. The modest reception of Petro contrasts with the growing use of cryptocurrencies in Venezuela as a refuge from hyperinflation, projected at 1,000,000% by the IMF by 2018. “It is the fourth country with the highest trade with bitcoin -reine of cryptocurrencies-, with 12% of global transactions,” says Rendón. José Ángel Álvarez, president of the private National Association of Cryptocurrencies, believes that the Petro may rebound, but “with clear rules” and quoting freely. This scenario seems distant, because Washington prohibited to trade the Petro and risk-rating websites such as icoindex.com called it a “scam,” considering that “government control contradicts the spirit of the blockchain” to avoid manipulation. But Maduro already authorized its use in the real estate and tourism market. “We do not know how to proceed,” the head of a travel agency told AFP. The Petro has a central role in a program with which Maduro promises to end five years of recession, which includes new notes that subtracted five zeros from the bolivar and a 96% devaluation that it tries to compensate with a minimum income increase of 3,400%. The president also said to anchor the new bolivar to the Petro, as well as salaries, so that inflation does not pulverize them. With this, he bets to convert the cryptocurrency into an accounting unit. 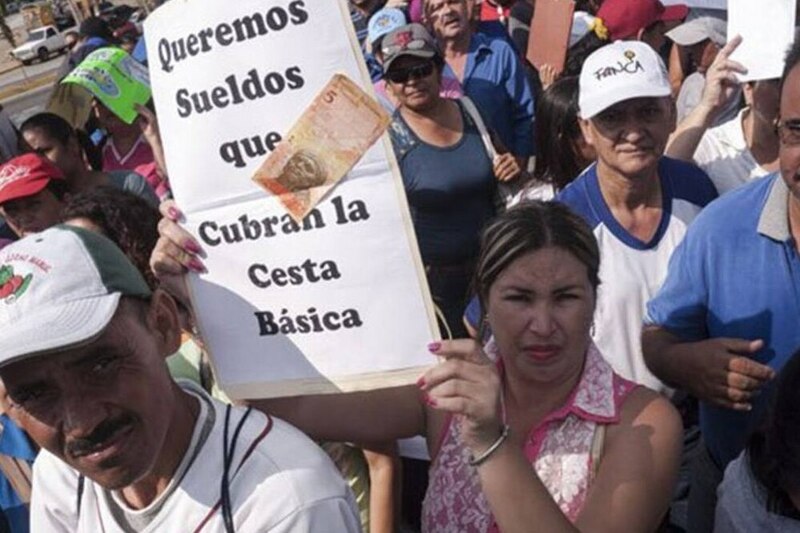 For the economist Jean Paul Leidenz, Maduro tries to emulate what Brazil did in the 1990s, when the real displaced the cruceiro, destroyed by hyperinflation, although it has not proposed replacing the bolivar. Leidenz sees the success of such a measure unlikely, since the lack of financing will continue to feed a fiscal deficit of around 20%. This story originally appeared in Spanish at Cripto247.